Biologist Anthony Cashmore thinks belief in free will is akin to belief in “magic” and we have “free will genes” actively deceiving us into believing that we have free will! In a recent study, Cashmore has argued that a belief in free will is akin to religious beliefs, since neither complies with the laws of the physical world. . . . To put it simply, free will just doesn’t fit with how the physical world works. Cashmore compares a belief in free will to an earlier belief in vitalism – the belief that there are forces governing the biological world that are distinct from those governing the physical world. Vitalism was discarded more than 100 years ago, being replaced with evidence that biological systems obey the laws of chemistry and physics, not special biological laws for living things. “I would like to convince biologists that a belief in free will is nothing other than a continuing belief in vitalism (or, as I say, a belief in magic),” Cashmore told PhysOrg.com. . . .
Cashmore argues that there are deeper explanations for why we think we have free will. He thinks that there must be a genetic basis for consciousness and the associated belief in free will. Consciousness has an evolutionary selective advantage: it provides us with the illusion of responsibility, which is beneficial for society, if not for individuals as well. In this sense, consciousness is our “preview function” that comforts us into thinking that we are in control of what we will (or at least may) do ahead of time. As Cashmore notes, the irony is that the very existence of these “free will genes” is predicated on their ability to con us into believing in free will and responsibility. However, in reality, all behavioral decisions are nothing more than a reflection of our genetic and environmental history. free will genes function as messengers of deception: they arrange for us to pass our existence under the spell of an illusion. How enormously tragic: a world in which human freedom is an illusion. If this is true, and became widely internalized by the masses of men, what would happen to the liberal political project, to the justice system, and to humanism generally? How do you salvage any of these things without the religious and Descartian moves that Cashmore insists draw you out of the realm of naturalism? And Cashmore goes even further. He says that consciousness—even an ultimately determinate consciousness—may play no feedback role in our actions at all: that everything—absolutely everything—may be “decided” upon in the human unconscious. Talk about a huge vindication of Freud! I find it interesting to compare this line of thinking with that of Freud, who created a controversy by suggesting that the unconscious mind played a role in our behavior. The way of thinking regarding these matters now has moved to the extent that some are questioning what role, if any, the conscious mind plays in directing behavior. Namely, Freud was right to an extent that was much greater than he realized. Is your head spinning? Mine is. Is it any wonder why religion won’t be going away anytime soon (if, for no better reason than this: it gives us a route for at least a distant hope in free will)? Still, you have to wonder. Is the below video, ironically, just the plaintive cry of what really is a robot? Free will is not in the house? This entry was posted in Uncategorized and tagged apologetics, atheism, atheist, block universe, determinism, free will, freedom, God, humanism, liberalism, naturalism, the matrix. Bookmark the permalink. 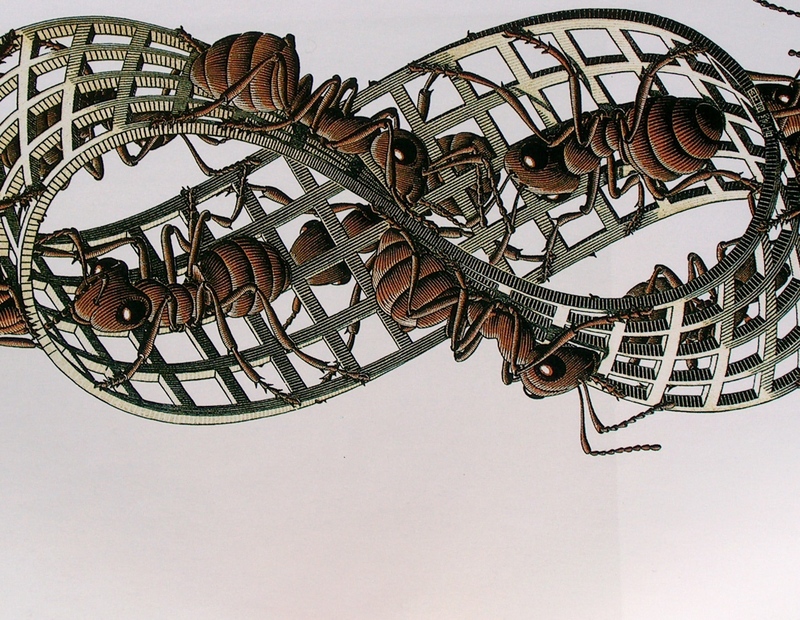 10 Responses to Biologist Anthony Cashmore thinks belief in free will is akin to belief in “magic” and we have “free will genes” actively deceiving us into believing that we have free will! Anthony Cashmore has had a fainting. While fainting, he has spoken gibberish. Jesus Christ spoke of such happenings to occur. A similar fainting can be heard in the pronunciation of some of the lyrics in the accompanying video, in example, “robau” for “robot”. These are standard “eliminative materialistic” and “free will compatibilistic” thoughts, most likely he once read a book by Dennet or the Churchlands and ran with those ideas. Unlike the Churchlands however he does not appear to be willing of taking those ideas to their end, he still appears to hold that such a thing as “belief” exists. On reductionism there are at most predictions about the placement of atoms, no beliefs, no abstract objects, no self other then atoms in the body moving about. In the article, strangely, he appears to come close to saying that both consciousness and will are epiphenomena but he appears to flipflop over weather they can make real change in the world (ie be evolutionarily beneficial). From what I understand he appears to be using Libbets experiments to show that free will and consciousness are useful not to make actions as conscious acts of free will but for unconscious future act of non-will. That non-willed for actions are changed by past false/illusory experiences of acts of free will. This however runs head up onto “the hard problem of consciousness”, that the act of experience offers no apparent imaginable benefit to a physical thing other then pure blind non-experiential action from a reductionistic point of view. So it appears to me that Anthony Cashmores view is still magical (mostly appears to stem from the inclusion of a “self” in his ideas to which illusions can be played, the Churchlands and Dennet tend to want to get rid of the self to avoid these problems), he has just shifted stuff around a bit and made it even more difficult to solve the hard problems. The (physicalist) Orch-Or quantum physical theory of mind has some interesting ideas that would make free will and experience non magical though. I’ve never heard of Orch-Or. I’ll check that out. Personally, I keep fighting at this blog for free will—as the alternative seems intolerable to me emotionally—but I just don’t know how you get there without positing some ontologically primary “ghost space” alongside the material world (and interacting with it). Kaufmann helps here a bit. And the Buddhist notion of “spontaneous Buddha nature” might also help. But I just see science (successfully) chipping away at yet another thing that humans have long held dear. I suppose the world will just keep going on and people will ignore the dilemma if science definitively nails down the free will delusion thesis. People compartmentalize a lot of things: it will be yet another thing that most people will choose not to look at too closely. The Orch-Or hypothesis postulates something more ontologicaly primary then matter. It claims that actions are not determined in advance and are not random, that experience and action in large part are results of quantum computations in the cellular scafolding of the neurons. Here it is not atoms moving about in space, it is the quantum wave function collapse changing matter around. It is not quite the classical view of free will but it’s close enough in my mind that one can get out of it what one needs. This idea that something ‘magical’ must exist for free will to exist is stupidity. I can’t read your mind, and you can’t read mine. Introspection can influence thoughts, attitudes and actions (many studies into meditation prove this.) Therefore, my mind might alter itself without outside influence, unbenounced to anyone else. Therefore, I have free will, with absolutely no magical components needed. I think that you are not looking at the problem that your view of yourself poses for naturalism (atheism). And you are speaking in very Descartian terms about your mind and its interaction with matter, as if you have a ghost up there in your head. Free will is extremely problematic on naturalist terms, and so, if you are a free will agnostic or atheist, as Ayn Rand was, you’ve got to come up against a problem: does the mind exist as an ontological primary independent of what matter is doing, and is it capable of influencing matter? If you say yes, you’re in ghost-land, and if you say no you are in the realm of determinate physics and chemistry. It seems unresolvable (if you are going to be a naturalist of some sort and also believe in free will). Simply appealing to what meditators report of their inner states and experiences of free will does not solve the problem of whether it is, in reality, utterly illusory. WARNING – This is the longest post I think I’ve ever made on a blog comment before. Clearly, I must have been unclear on presenting my view. Let me try again. It is irrelevant to say that something’s actions are predetermined by physical laws if those actions can not be predicted. It is true that a random number generator is not truly random (it’s usually a complex function that is seeded by an internal clock to ensure that it changes in what appears to be a chaotic fashion.) However, the code for that random number generator was written by someone and so using a more complex computer I could predict this supposedly ‘random’ numbers. However, let us assume that a system were self modifying, and to the extent that the way in which the ‘random’ function altered itself based on when it was called. At that point I’d need to know not only the nature of the function, but also all past calls of that function and when the occurred to predict the outcome. Similarly, if the brain can self-modify simply through conscious thought or reflection, then it is not enough to know the structure of the brain to predict an outcome. It is then not even enough to know all past experiences of an individual. You must also then know all previous ‘thoughts’ that said brain has had to predict it. Otherwise you must dissect the brain, thus destroying it to learn about it. So therefore, it can be said that free will exists (even within a purely causal universe) in the same way that we can know an electrons position or velocity but never both at once (But on several orders of magnitude greater a scale.) I am a black box to you as you are to me, so free will must exist practically, even if not metaphysically. If we cannot hold human beings responsible, then we cannot hold me responsible for calling Anthony Cashmore a twit. andrewclunn say th truth…. cashmore talks for himself… not for the truth… maybe not for the science too… Dan dennett say it clearly… hard determinism mistakes all… free will exist, scientifically too (veto-window). In a metaphisical view maybe free will doesn.t exist (quantum theory explain that it is not so sure), but in scientific view… neurofisiologic view… it exist… Libet found the time between natural brain response and consciousness response and call it “free won’t”. WE CAN CHOOSE TO CONTROL OUR IMPULSES:::But humans say this for centuries!!!!!!! Watch on you tube http://www.youtube.com/watch?v=A8uo9LAvdQo very seriously and concentrated… you will find some answers. Andrew Cashman’s view of free will, or humans’ lack thereof, is simpky an exausted example of what can happen when a biologist decides to dabble in philosophy without taking previous established philosophical theories into account when hap hazardly developing his own. His theory is simply restating parts of Thomas Hobbes’ theory of physiological materialism without even doing it justice, as he left out the part about each individual’s physiological existence being unique to everyone else’s, making free will ‘self-determinate’.